Missoula, MT. 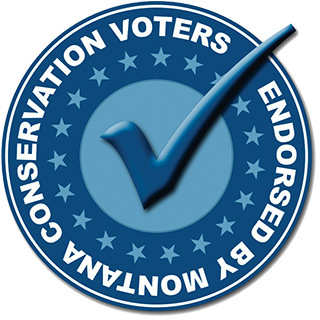 Today, Montana Conservation Voters announced its endorsement of Josh Slotnick for the Missoula Board of County Commissioners. Slotnick faces incumbent Jean Curtiss in the Democratic primary election in June. Missoula, MT. Democratic candidate, Josh Slotnick, is the only candidate in the race for Missoula County Commissioner to be endorsed by the prestigious Montana Conservation Voters this year. The announcement came officially today and is very meaningful in this contested Democratic Primary Election, slated for June 5, 2018. Mail in ballots will be sent out to many voters about May 11. 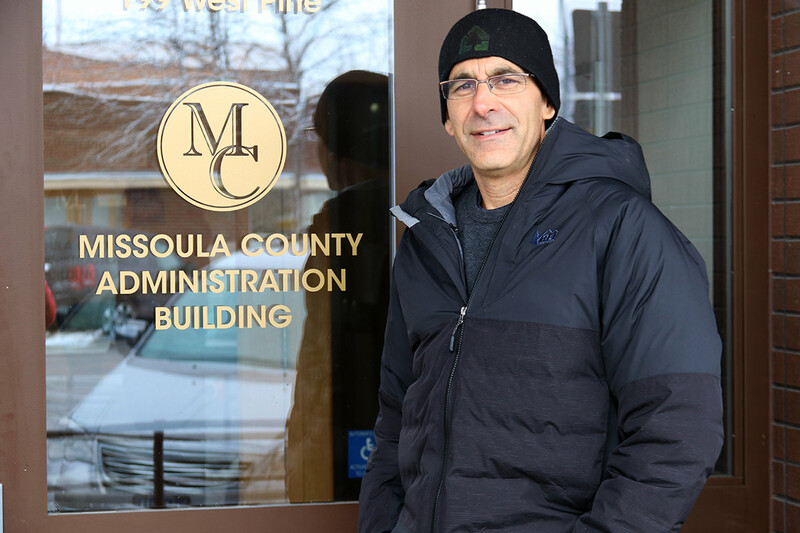 After more than thirty years living, working, and raising a family in Missoula, Josh Slotnick is ready and prepared to ‘give back’ to Missoula County citizens first as a candidate for public office and second, if elected, as our new County Commissioner. Missoula, MT. Longtime resident of Missoula County, Josh Slotnick, announces his intention to run as a Democratic candidate in the 2018 race for Missoula County Commissioner. Candidates must wait until Thursday January 11, 2018 to officially file for candidacy, but Josh's campaign is already hard at work. 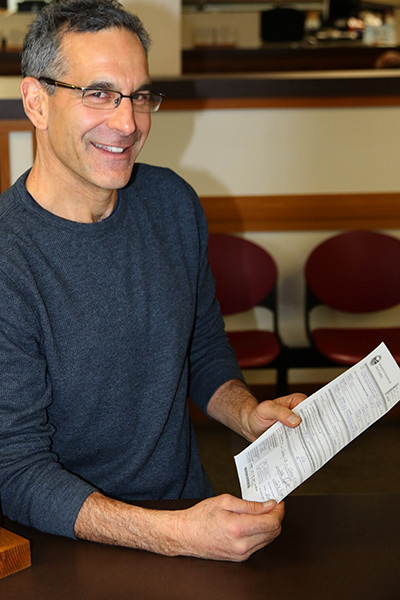 After more than thirty years living, working, and raising a family in Missoula, Josh Slotnick is ready and prepared to ‘give back' to Missoula County citizens first as a candidate for public office and second, if elected, as our new County Commissioner. "I have been so very fortunate in my life and during my career in Missoula that this next stage, to be a steward and leader for Missoula County citizens, is the right choice to make," said Josh recently. 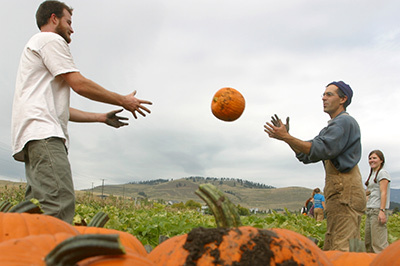 "Running a small family-owned business growing local food for Missoulians, teaching young men and women at the University of Montana about our environment, our responsibilities to one another as citizens, and supporting their dreams for the future have all inspired me with an even greater responsibility—that of giving back to the community I love through public service." Josh Slotnick moved from Grand Forks, ND., to Missoula as an 18 year old, to go to college. 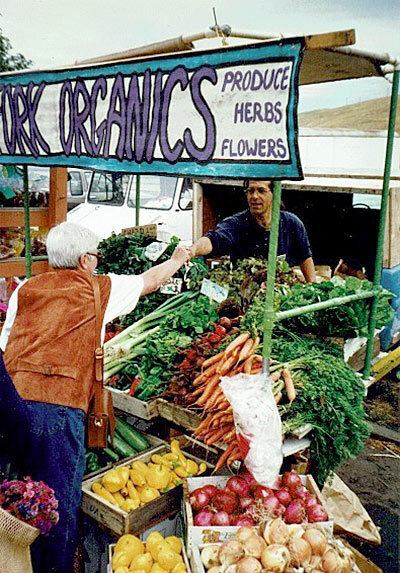 He got a degree in Philosophy from the University of Montana, served in the US Peace Corps, furthered his education at UC Santa Cruz, and in graduate school at Cornell (MPS 95' Agriculture Extension). He's been farming here with his wife on their family farm since 1992. Alumni Impact Award, from the US State Department, 2015. He has spoken at dozens of universities and public events and his TEDx talk has been seen by thousands of people. In Missoula, Josh has served on many voluntary boards of directors, including the Missoula County Weed board, the Missoula City/County Planning Board, HomeWord, and the Missoula Farmers Market. He has written articles, essays, book chapters, and one book. He is most proud of his family, Kim who runs their family farm, Clark Fork Organics, and their kids, Quinn (24), Sophie (21) and Tasha (17). Former MT State Senator and retired UM Professor Ron Erickson, who helped found the Environmental Studies program at UM and a longtime mentor for Josh states, "Josh would be a superb County Commissioner—the best choice we could make in these troubling times. Josh's insistence on sane land use planning and saving prime soils is forward thinking. He, more than anyone I know, has the background, abilities, and vision to move our County towards sustainable growth, that builds on our strengths and enhances the values we all share." As a farmer and small business owner, Josh will roll up his sleeves and work with our business and economic development leaders to maximize our assets while acknowledging a need to manage our costs and growth. "Plans and protocols that may have worked 10 and 15 years ago need reality adjustments and a fresh perspective. The changing climate and the changing social dynamics of our area unfairly reduce services for struggling families and individuals and those most in need," said Josh. "We need to take a hard look at our current transportation plans, land use plans, energy policies, wage structures and rural community support systems. We need to be smarter, we need to be proactive, work hard together, and do a better job for our citizens." Josh knows that the county staff is the heart of the engine running county government. The women and men employed, some for decades, have the historic knowledge and expertise necessary to support the elected leaders and thereby the citizens of the county. "I look forward to meeting as many county staff as I can during the election so I am well prepared to move forward in a collaborative and supportive manner from Day One, relying greatly on their accumulated intelligence and compassion for their work." During the campaign Josh will meet with Community Councils around the county. Whether Frenchtown, Target Range, Lolo and East Missoula or Bonner, Potomac, Seeley Lake and Condon he will attend meetings and listen to rural community concerns. Said the candidate, "I believe in Neighborhood Plans and local planning efforts. Locals know best what their communities need and my job is to listen and then work with citizens to accomplish what's possible. Just saying "no" is not acceptable." Missoula City Councilwoman and President Marilyn Marler lends her support to Josh's candidacy saying, "Josh has worked on issues of economic inequity for county residents for decades. He repeatedly brings forward innovative ideas and turns them into reality. Josh is a results-oriented team player and will bring enthusiasm to County leadership." On the subject of agriculture and rural land use pressures, Josh has gained many supporters over the years. Rancher, agriculturalist, and rural conservation leader Jim Cusker from the Grass Valley area has this to say about Josh's decision to run, "Josh will be an outstanding candidate and respectful leader who will advocate for rural issues. I have worked for many years with Josh on agricultural land preservation. Josh will use his experience on the City/County Planning Board and engage development and design tools that maintain value for landowners while keeping working lands thriving for coming generations. He's the best voice for the future of both rural Missoula County and the important role the City can play to bridge the divide. We're all one county." Josh acknowledges that it is a challenging time to get involved in electoral politics and foster collaborative bi-partisan approaches to the tough issues we face. Yet, he remains optimistic and committed to the work ahead. 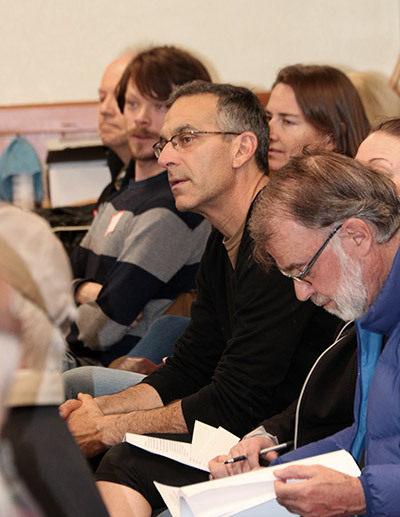 "I could easily and happily continue the work I'm doing for the next 15 years," said Slotnick. "But as an engaged citizen, it's time to step up. It's time to not only call on our current leadership to do more but also to invite, encourage and welcome the next generation of leaders aboard. It will be their world soon enough."